Library Wines from 2004 and earlier are available for members only. Please email the tasting room at huntcellars@huntcellars.com for more information. 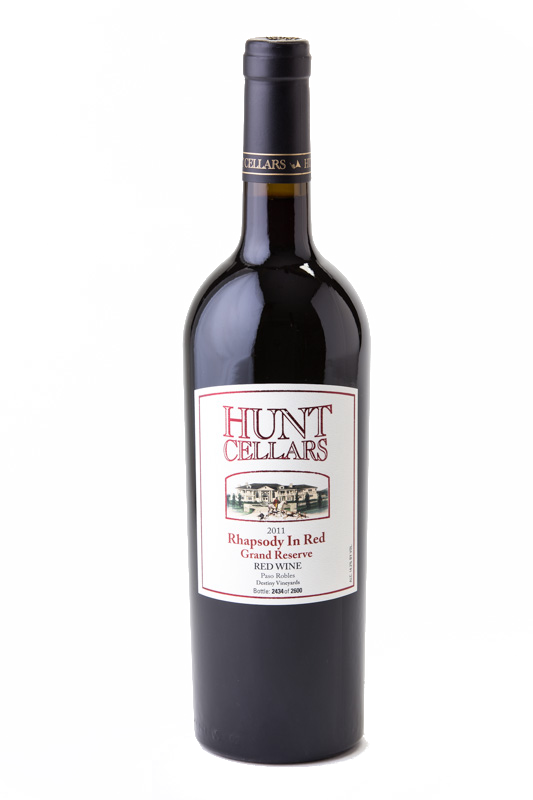 At Hunt cellars we assure you that we make every effort in our hand crafted wines to drink now or age well. Our Estate, Destiny Vineyards produces mountain top concentrated fruit with very low yields so each vintage requires finesse and extended barrel aging. The vineyard has multiple terroirs, white calcareous, sandy, loamy soils with great dra inage and very little clay strata. 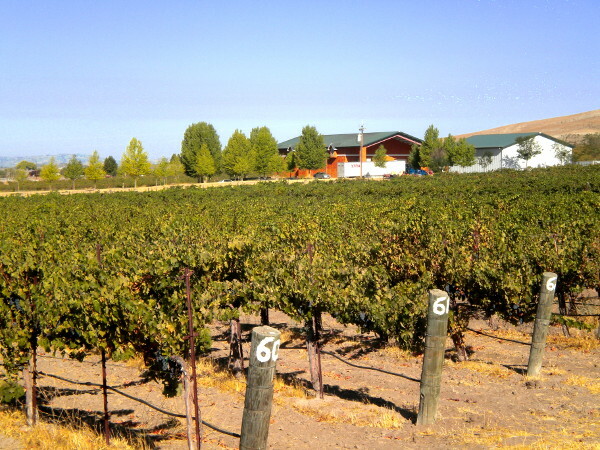 The vineyard is planted west to East to enjoy the coastal influences from the Morrow Bay and Templeton gaps as well as the 50 degree diurnal swings which help solidify and intensify varietal flavors. We push the threshold of art against the science which creates amazing results. We are so proud that our wines are aging so beautifully. We get comments so often from our patrons that they just opened a 2000 Cabernet, Merlot, 2001 Syrah, 97 Petite Sirah, 2004 Maestro or Rhapsody in Red and how wonderful they tasted. Our tasting room features some of our 2003 Merlot, Zinfandel, Cabernet and blends to the amazement of folks who have a hard time believing California wines can last this well. We feel it is a result of our “Grand Reserve” program which means our big red wines are barrel aged 3 year and bottle 2 or more years prior to release. We could show you a 2005 or 2003 Cabernet and most folks guess it is a 2010 or 2012 vintage. 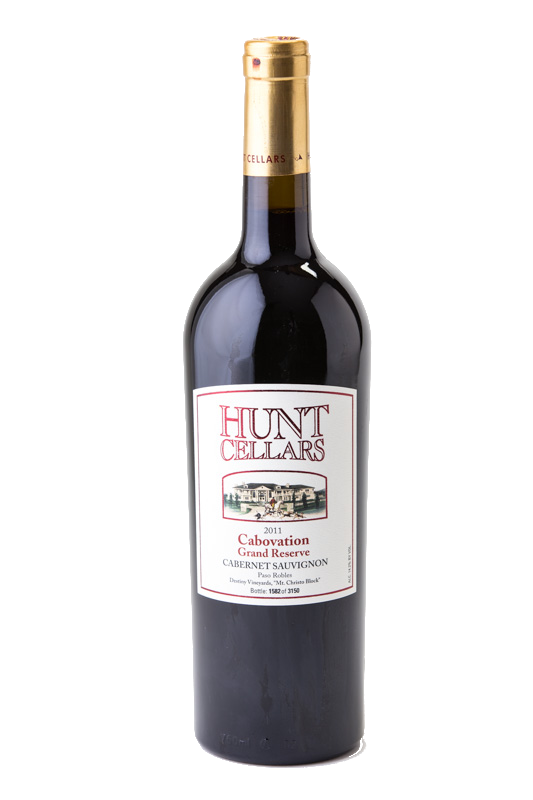 Hunt Cellars is dedicated to producing “Memorable Cabernet Sauvignon”. This Destiny Vineyards estate “CABOVATION”, mountaintop Cabernet Sauvignon is packed with muscular tannins which surround a mouthful of varietal flavors. Small berry clusters, magnify intense varietal character create the dark personality of deep dense sweet, lush black wild cherries, candid black plum, berries, black currant, jamb black cassis, campfire toasty oak, hints of vanilla and voila – a royal Cabernet Sauvignon with each memorable sip. This estate Meritage blend of Bordeaux-Style varietals have captivating bouquet of old world and new world fruit. Smooth delicious flavors dance on your palate teasing you with wild cherries, red, black and bing cherry flavors with overtones of jammy cassis, vanilla, chocolate, coffee beans and the perfect induction of layered oak. This lush delicious wine has been hand crafted in small lots with extended barrel aging, creating a perfect balance and concentrated varietal flavors. “Cloud 9” exudes chewy tannin, bold Cabernet Sauvignon flavor, finesse and finish that begs for more. Rich in flavors of cherry, cassis, new world and old world overtones. 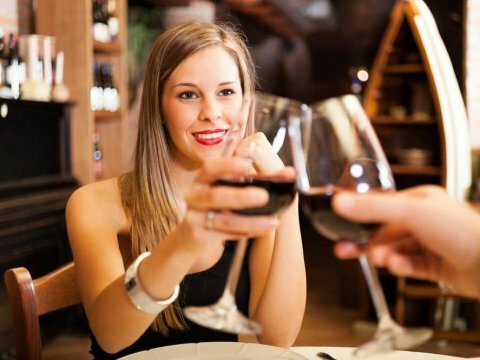 This wine will reward your palate with a smile and you get the feeling you are on “Cloud 9”.